Berlin is a fascinating city, so if you plan to visit European capital cities, you need to have Berlin on your list. It is hard to get bored here, with so many things to do and see. And when the accommodation is outstanding as well, it will be hard to leave the city. In the following lines, I will share with you the experience I had while being a guest at Hotel Berlin, in Berlin. If you like being in the middle of the action, then you will love this hotel, as it is placed in the center of this gorgeous city. Considering its great location, in my opinion, the prices are rather accessible, in comparison with other hotels placed in the heart of Berlin. 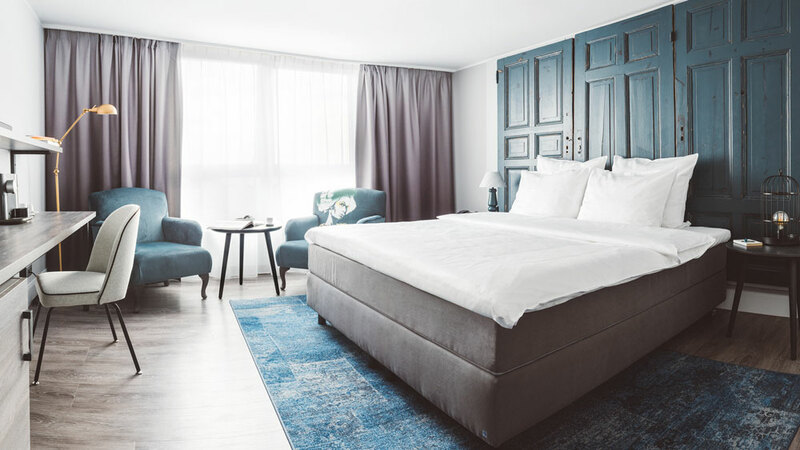 Hotel Berlin is a 4-star hotel, but, to my surprise, the conditions and services I found here managed to exceed my expectancies, and I must say that I am accustomed to staying in luxurious hotels. You can tell that it is a modern hotel from the moment you approach it. It fits right in the city’s urban scenery and it is more than capable of making you feel that you are indeed in Berlin. Soon after entering the lobby of the hotel, I was greeted by the smiling faces of the hotel’s staff. Everybody starting from the receptionist and reaching the housekeeping staff was extremely friendly and nice, but without smothering you with their attention. You still get your degree of privacy and quiet while staying at this hotel, so that you will get your well-deserved rest, in order to be capable of experiencing one more adventurous day in the city. Speaking about this, I loved the fact that the hotel is surrounded by numerous places to see and to find entertaining. Without the need to take a car, you can find a lot of venues that are worth seeing, like museums, palaces, and memorial houses. There are also stunning shopping centers within reach, clubs if you want to have a drink at night, and scenic places where you can create unforgeable memories. But, getting back to our conversation about my stay at the Hotel Berlin, I need to mention the fact that this hotel host a very trendy suite in the city. 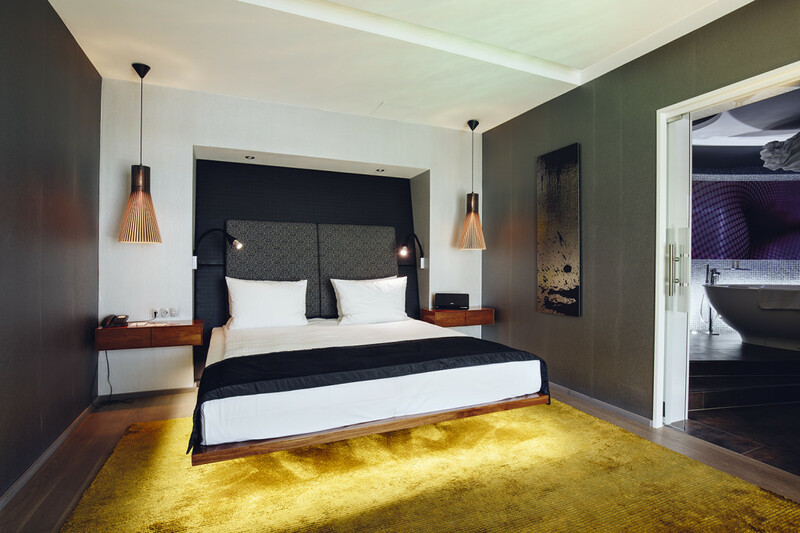 Called the Teufel Suite, this is a generous accommodation option when it comes to space, as it offers no less than 95 square meters. Again, the hotel is a 4-star hotel, but staying in this suite made me feel like staying at a 5-star hotel. The Teufel Suite can definitely compete with a 5-star suite, meeting the highest standards and offering top-notch conditions. The suite is decorated in a modern manner, by using the latest materials and trends in the domain. The motto of the hotel came to my mind right away, which is “Live like a Berliner!”, as this suite made me feel precisely this way. During my stay in the city, I did feel like a Berliner, surrounding by the modernity that made this city famous, experiencing through every pore of my body that I was indeed in the capital city of one of the most developed countries in Europe. Featuring a comfortable and elegant living area, and an ultra-modern bathroom, the Teufel Suite has everything you need. It is ideal if you want an anonymous stay in Berlin and in case you are a music enthusiast, due to the fact that the suite is equipped with a state-of-the-art Teufel audio system. This way, you will be able to enjoy your favorite music, of the highest quality. The audio system is a perk I really appreciated while staying at the Hotel Berlin because nothing beats a morning that starts in a great manner with some great music playing in the background while enjoying a cup of coffee prepared with the help of the Nespresso Expert coffee machine, also available in the suite. Also, in case you had a long and tiring day or you just want to burn some steam and relax, you can do so in your own private sauna. Yes, the Teufel Suite has a sauna just for you in its large bathroom. If you ask me, all these conditions are worth the 4-star hotel price, as they are definitely above average and what you normally find in 4-star graded hotels. All in all, I enjoyed my stay in Berlin and I definitely had my expectancies exceeded by Hotel Berlin and its Teufel Suite. 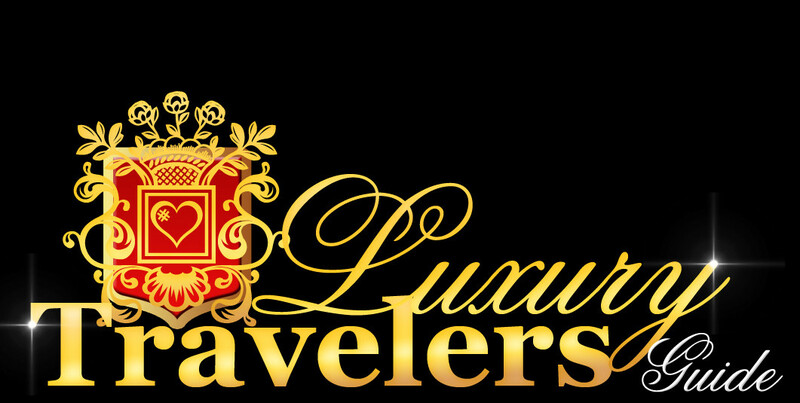 The price-value ratio is more than great, as the hotel is capable of providing exceptional conditions with their top-notch rooms and services. 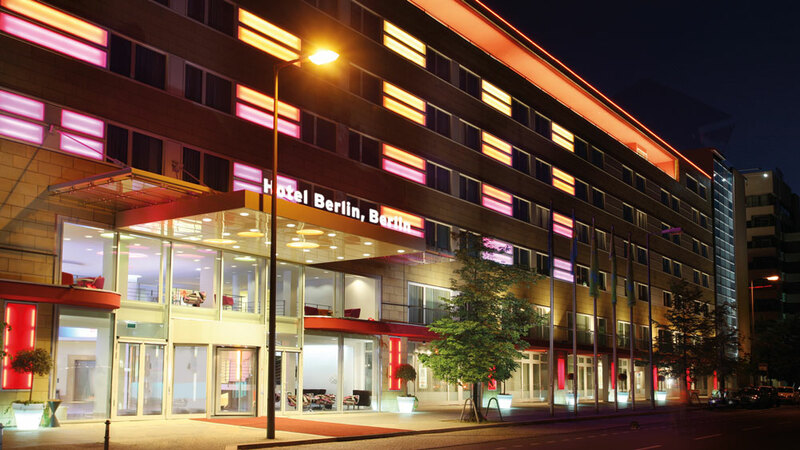 In case you are planning to visit Berlin and you’re not after a 5-star hotel, but you would like to enjoy a high number of amenities, excellent comfort, and great services, then do not hesitate to book a room or even a suite, at Hotel Berlin. The location is just what you need if you want to experience the pulse of the city as soon as you stepped out of the hotel. Not to mention that all sorts of things happen in the area all the time, so there are high chances that you’ll find out about the coming social events in no time.